Kathryn Vaughan - Fanning Harper Martinson Brandt & Kutchin, P.C. - Fanning Harper Martinson Brandt & Kutchin, P.C. 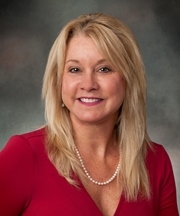 Kathryn Vaughan has a diverse legal background, including judicial clerkships with the Oklahoma Court of Civil Appeals and the Oklahoma Court of Criminal Appeals, a three-year position as a staff attorney with the Oklahoma House of Representatives, and various positions in the private sector of Oklahoma and Texas. Kathryn’s 30-year practice has focused primarily on the areas of business litigation (defense), insurance coverage, class action defense, insurance coverage litigation, and appellate practice. Kathryn is a member of the Oklahoma Bar Association and is admitted to practice law in Oklahoma.